Wow, I just discovered that the lead guitar work on “Batmobile” is from that Phil Keaggy – here’s a link to the bio on his website. As it turns, landlocked musical combos can create credible surf sounds – not just West Coast bands. 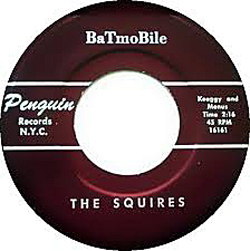 Cincinnati’s King Records, you might recall, even delved into the “surf rock” genre via The Impacs, whom Zero to 180 profiled just over a year ago.